As a home owner or renter you may have heard of people talking about potential slab leaks and slab leak repairs. If you aren’t aware of what a slab leak is we’re here to help. Southern California homes are built on slab foundations. This is a slab of concrete that your home sits on. The slab leak occurs when the copper pipes beneath the concrete foundation spring a leak and water leaks and seeps into the area. Early detection is key when dealing with a leak of this nature. Restoration companies like Flood Solutions Inc. are here for this and many other types of leaks. 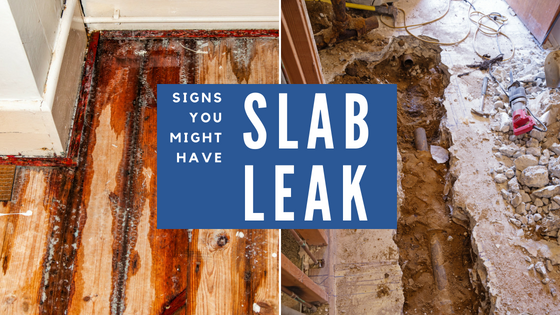 Let’s look at some of the signs that you may have a slab leak in your home. Did you recently pay a water bill that seemed like an anomaly? Has your water usage changed in recent month? If your water bill is higher but your water usage is unchanged, you may have a leaky appliance, or it may be something more serious. If your water bill increased and you start noticing your flooring damp (carpet) or warped (hardwood) this is another telltale sign of a slab leak. Slab foundations don’t afford any type of buffer between your ground floors and foundation so as water comes through the foundation it will also affect your ground floors. Mold appearing where it hasn’t before could also be a sign of a leak. Mold and mildew should be handled with caution and by a certified mold remediation company. In the case of a slab leak mold or mildew may be growing underneath carpets or hardwood and may not even be visible but the smell will still permeate throughout your home. Because slab leaks can strike both hot and cold-water lines and as such can cause a few different problems related to hot water. One such problem is a random patch of the ground that’s hotter than the rest. The other is a water heater that is constantly running, as you can guess if a hot water line is leaking then the reservoir on your water heater constantly must be heated. What to do if you Suspect a Slab Leak? Calling a water repair company is your safest easiest option for dealing with a potential slab leak. 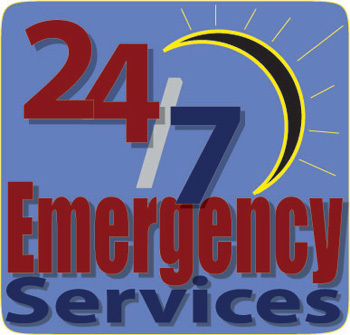 Flood Solutions Inc. are certified professionals and we have the tools necessary to determine the severity of any leak. In addition, we also provide a variety of services like mold remediation and restoration. Call for your consultation today! Serving all North San Diego County, 760-532-3266.